I was talking to a colleague friend of mine recently when she mentioned she had to deliver a translation but had to get it notarized first. My brain immediately went in two different directions: (1) I know this is a fairly common practice among translators in the United States, and (2) why are we still doing that? I have not notarized a translation of mine in ages. I certify my translations with my signature, backed by my credentials as a translator (one of which is NAJIT’s.) That’s the way we certify translations in Puerto Rico. So, I stopped notarizing my signature—which is all a notary will do—many, many years ago. Of course, I had to ask my friend, because I wanted to hear her take on it: Why? Just as I thought, the main reason is that everyone else does, so the clients expect it. Why notarize a certified document? It’s not like notaries in the U.S. are attorneys, like in many other countries. Essentially, to become a notary, you just have to be 18 years old, or older, have a clean record (no prior felony convictions), be a legal resident of the state where you get your commission, post a bond, maybe take some training course, pay a fee, get your notary supplies and that’s it. As to your translation, all the notary can do is vouch for the fact that you are who you say you are. Notarizing a translation has nothing to do with the accuracy of that translation. The accuracy of a translation can only be accredited by someone with the proper knowledge, such as an advanced degree, or a professional credential as a translator. And that credentialed individual’s signature should be sufficient for the client to be assured he or she is receiving a quality product, which, in the legal world, means a true and accurate translation. Think of engineers, for example. Only a licensed engineer may prepare, sign, seal and submit engineering plans and drawings for both public and private clients. They do not need to have their signatures notarized. And their signatures are all a client needs to be assured he or she is getting a professional product. The same goes for architects. When these professionals place their names on a document they have produced or created, they are giving an assurance as to the quality of their work and assuming personal responsibility for their final product. No notary needed. So why are we still relying on a completely artificial mechanism to provide our clients with some false reassurance as to the quality of the work they are getting? Are we not saying “our knowledge, our professional credentials, are not good enough” by relying on a notary to validate our work? Let’s go ahead and validate our own work. Let’s go ahead and certify our translations without a notary saying we are who we say we are. Let’s go ahead and educate our clients about our own professional standards, our own credentialing processes. How about we debunk the myth of a “notarized translation” and simply provide our clients with truly certified translations, produced by properly educated and credentialed professional translators? I’d say this is a pretty good day to start doing that if you are not already doing it. It’s just another small step in our profession’s growth that takes us closer to getting the respect we deserve. 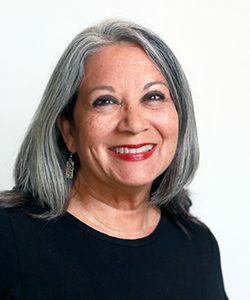 Janis Palma has been a federally certified English<>Spanish judiciary interpreter since 1981. She worked as an independent contractor for over 20 years in different states. Her experience includes conference work in the private sector and seminar interpreting for the U.S. State Department. She joined the U.S. District Courts in Puerto Rico as a full-time staff interpreter in April 2002. She has been a consultant for various higher education institutions, professional associations, and government agencies on judiciary interpreting and translating issues. She is a past president of the National Association of Judiciary Interpreters and Translators. Read other posts by Janis Palma. ASL interpreters do not run into this issue. It was fascinating to me to learn of the issue faced by my colleagues. I hope your advocacy is effective in raising the professional profile of certified translations. Janis, thank you for a very informative article. I have not been to a Notary Public in ages, and yet, some of my clients expect the notarized certificate of accuracy. It has been an uphill battle with mixed results. I will use the engineers’ example you cite, hoping it resonates better. Thanks again! Several government agencies do require notarization, even if the translator is certified. If so, your translation may be rejected if that requirement is not met. I notarize mine because for me it’s a quick, free and painless process. I had in fact stopped doing it, but some govt agencies still refuse to accept a non-notarized certified translation, such as the NJ Motor Vehicles Commission, for instance. It is my understanding that the New Jersey Motor Vehicles Department requires NOTARIZED certified translations when it uses translations (by INTERPRETERS registered with the State AOC – see below) as evidence for obtaining a diver’s license. I spend a fair amount of time, effort and cost (driving to the bank where notarization is free) to do this every year. Am I wrong? I’m going to try to get a ruling from the NJ Administrative Office of the Courts – which screens, tests and registers INTERPRETERS who, possibly to their surprise, as in my case – are automatically thereby empowered to TRANSLATE for the MVD. I will try to get an answer from the MVD too but … I wom’t be holding my breath. Many thanks for raising the issue! Like I replied to Arnaldo above, NJ Motor Vehicles has never refused to accept my signed certification. I never notarize them. However, I am an ATA certified translator and my seal is included on my certification so that might be why. I will join in your efforts to educate our clients! It depends. We must separate ENSP from other languages. Most European countries request not only to notarize the document (translation) but, also to get an apostille. If I translate a doc from my country into English, there is no need to have it notarized, and never did. Thank you for this very strong argument in favor of certified translations without notarization. We can all keep it as a most convincing reference helping us to unload the unnecessary and (I too find) demeaning “practice” that must have taken root in the U.S. many years ago, before there was meaningful recognition of trained and experienced translators. I am very rarely asked to notarize my translation. If it does happen, the client demands/requires it because of a higher institutional requirement, be it a university, government agency, etc. Convincing them of the redundancy of notarization will probably be more challenging due to bureaucratic molds/patterns. Janis, you are so right! We researched the government expectations for translation certification and published them here. Of course, translators should adjust the certification statement to the credentials they have, not necessarily the ones listed. yeah for this post! totally agree. About 15 years ago, I was translating death, birth and marriage certificates from Mexico and notarizing my own documents (very silly and not logical) when you think about it.) but people and agencies requesting these documents to be notarized. I’m not doing that anymore but I agree with this new way of educating people. Notaries just witness your signature not the quality of the document nor give any advice on it. Second, if we have taking all this training and furthering our education in this field, that is our stamp of approval for clients. I posted a comment earlier to say that the New Jersey Motor Vehicles Dept. requires certified translations (by authorized interpreters registered with the NJAOC) to be notarized. I wonder if this is because the MVD wants proof of the translator’s identity to make sure the translation was in fact done by the person purporting to be the one the authorized list? I suppose that would be justifiable. The question as to why registered interpreters are automatically authorized as translators for the MVD when so many interpreters do not do translation work remains open. I replied to your other post about this matter above. I don’t notarize translations for the DMV. Good question. however, if your translated document needs Apostille, you will not get it unless it is notarized (in TX). “all the notary can do is vouch for the fact that you are who you say you are. Notarizing a translation has nothing to do with the accuracy of that translation.” … That’s true. That’s exactly what a notary’s work is. The certification paper (without the notary) may be provided by someone who uses your name and your credentials, forging your signature and name, which you don’t want to happen. Especially if you become so well known, trusted and reliable translator, a new translator may want to use your name and credentials to charge a higher rate for the translation. The notarization system prevent that to happen. The notarization system assures me as a translator that I am protecting my credentials so that anyone else can not use my credentials I have built after long time and can not use my name. I don’t know what’s wrong with that. Alex, you are talking about identity theft and it happens with and without notarization. Fake IDs are not that hard to come by and, if anyone REALLY wants to, they can easily obtain an ID identifying them as me, for example, and sign documents in my name, get them notarized and that is the end of it. It is not a matter of what is wrong with the notarizing of translations, it is only that it should not be needed. You are so-o right, clients usually don’t even know if they need certification or notary but they end up taking what we offered ourselves. I think for all documents being handled within the borders of a one country, translator certification is sufficient and yes, it is up to us to educate the client. When it comes to public documents, I have come across many clients and even attorneys that were confused on whether or not they need apostille, just notary or just translator’s certification. The institution or the country accepting the translation typically controls the requirements here, so debunking the idea of notary is probably not quite possible. Sometimes you may need all three. Perhaps NAJIT can provide a template to be used by its members. Perhaps some of our members are notaries as well and can provide peer services. True. A notarized anything means just a signature. However, the notary is required to see an ID and verify your identity. A small measure of certainty but, perhaps a small way of preventing some fraud. Maybe. In most states banks offer free notarization. Note: I have yet to hear of a notarized translation requirement in Immigration Court. Hi, Janice. I generally have many of my translations notarised because it is required by several California state agencies. Otherwise, my certification has been enough. I wonder if it’s the same in other states. Here in California it is required that the Certification be notarized. Also, it is NOT Permitted that a Notary notarize her own signature. The Notary is certifying that you are you and not someone else who has used your name and certification number. Notaries must take a class on verifying identities and willingness to sign documents, be fingerprinted, pay for bonding, pass a test, have a clean record, etc. They require that the person show an identification proving his/her identity. I am a Notary, as well as a California Court Certified Interpreter. Both professions have their requirements. I have received translated documents on occasion with a request that I study the document to check for its accuracy, fill out my own certification and go before a notary– one is down the street from where I live. I charge only a small amount for these services– not what I charge for my translation work. It still could be avoided if the original translator would just appear before a Notary. Check replies to your other post above. I don’t notarize translations for the DMV. Unless the client had been informed the translation needed to be notarized, as many have mentioned already, I never do it. I completely see the logic and sense in Alex’s reasons for getting your signature notarized. There is some hassle involved, that’s true, but the consequences may be minimal. I’ve come across agencies who’ve asked me to certify my translation without notarizing it, saying that they’ll notarizevit themselves, without my presence! So, please think twice about this matter. You’re safeguarding yourself. You can always charge a fee for the trip to the notary. Janis! Excellent post. However, I am ambivalent about it, and I will explain you why. I agree with you that “the accuracy of the translation can be only accredited by someone with proper knowledge.” But, I think that the seal of the notary does not certify the translation itself. It certifies that indeed it was me the person who signed it. Let’s say you left your seal somewhere where I can access it and use it covertly. You do not know that I am signing my translations with your name, but I am. How does the government know that indeed it was you who performed the translations and not someone else using your seal without your knowledge? As a lawyer myself—Not barred, I think that the translator’s seal and the notary’s seal have different meanings. Certainly, I agree with you that if the requirement is a translation performed by a certified translator, I think it is enough to seal it oneself. 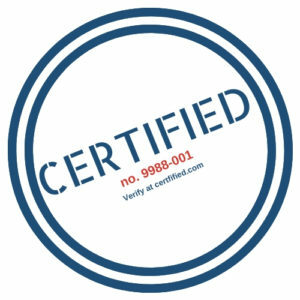 But, if the notarization requires the seal of the certified translator and the notarization, it has a second meaning. 6.	note a protest of a negotiable instrument. I believe the purpose of notarization, when we are requested to do so, is to witness or attest to a signature. I believe that part of your discussion is true, but I would be VERY cautious in saying that “certification trumps notarization.” Whoever has a certification DOES NOT have all the powers of a notary. Thanks for fostering such a good discussion. I believe Janis’s piece is quite clear. She is not talking about taking over for a notary, only that certification by a qualified professional is superior to notarization of one’s signature. There is an oath attached to a certification and that should be enough. Reality dictates differently, but I agree with Janis wholeheartedly. I always understood that one reason certified translators were required to have their signatures acknowledged on translations of official documents was due to the lack of the concept of “sworn translator”–such as in Europe & Latin Americ–in the U.S. A sworn translator is administered an oath by a governmental authority & the American Translators Association does not fit this description; neither does our oath as certified court interpreters qualify us as sworn in the written medium. (I am unsure what oath as translator Gio refers to. Adherence to a Code of Ethics is not always accomplished by means of a formal oath.) The notary acknowledgment is therefore seen to satisfy the need for official identification of the translator. My belief is that it continues to be necessary on official documents, yet it is at the same time inadequate since it falls short of conferring the concept of sworn translation to the document. I have been able to dispense with notary acknowledgments in all matters except when required by government agencies, which are unfortunately the major part. Hi Carol. The text of the certification usually states one’s qualifications and that the work is done to the best of that individual’s ability. And I agree, an oath or sworn statement does not guarantee quality or adherence to any CoE – whether it is notarized or not. In Brazil, a sworn translation is so much more than a verified signature. A commercial/sworn translator has to pass a statewide exam. If they pass, they must keep a copy of all their work, they are issued special numbered stamps, they have to ask permission to be absent from their office – be it vacation or a doctor’s visit – and they must name a substitute who has confirmed they are available to take the extra load of work… So different from here, thankfully. What wonderful and intellectually challenging responses! I am just happy to get the discussion going. Of course we are not going to make changes overnight, but we can engage in fruitful discussions. First, Carla, it is always fascinating to learn about the different scenarios sign and spoken language interpreters face. As far as government agencies requiring notarized translations, that’s a different battle. Let’s take on the individual clients first. But as Virginia says: if you have a professional credential included with your certification, you may be wasting your time getting your translation notarized for those government agencies that supposedly require a notary’s “seal of approval.” And, Liviu, I was not referring to documents that require an apostille. Translations going abroad have to follow the rules of the country where they are going. I was talking about translations for “internal” (i.e., U.S.) consumption. As to the possibility of having your identity stolen, I’m with Gio. It could happen even with the notarization. Maribel, I like your idea! And just to be clear, the title of the piece was not my idea, and my blog is not a comparison between certification and notarization. I am certainly not trying to put down notaries. My point is that as true professional translators, we need to establish our professional credentials as all the “vouching” we need for the work we do. Thank you all for your very informative and insightful comments! Notarized or not, what weight does the certification on a translation carry anyway? The translation is certified by the person translating it. “I promise I did a good job.” “I promise I am qualified to do this.” So? True you can include your credentials but who “certifies” that those really are your credentials? We’ve established that notaries do not do that. And besides, there isn’t even a requirement that the translator be certified in the first place (that I am aware of, in the U.S.). So anybody can attach a certification to a translation, and yes, get their signature notarized if they want it to look more official. Who knows if they didn’t actually use AI to produce the translation? Oh, but they attached that promise to it. That makes it official now? I don’t know. I can’t notarize my own signature. Why can I certify my own translation? Maybe there should be some sort of translator’s oath administered by a notary with each translation, like interpreters in court. (Translators: don’t stone me.) That way if it is discovered that the “translator” misrepresented themselves they could be charged with…something, I don’t know. And maybe the notaries would have to be trained to recognized credentials and review those credentials with each certification of a translation instead of just a driver’s license. These documents are used for legal matters and yet this flimsy translator’s pinky swear is just accepted. (Sorry about the sarcasm. I’m not mad. I’m just questioning.) Guidance welcome. Well, they operate under the code of honor here in the US, so your promise, to tell the truth, weighs heavily. And that is why so many people get away with murder… Only you can certify your own translations. There is an inherent trust relationship between translators and their clients. Any “swearing” is flimsy, in my opinion, so whether it is a translator or a notary or a doctor or a priest or [insert profession here], the main question is: Is that trust there or not? Janis’ article and some of the comments actually changed my mind about this. I have always educated my clients in the sense that I told them that a notary does nothing other than confirm my identity and that the real certification is mine alone, based on MY credentials. I have also told them that I cannot guarantee what a certain organization will accept, that I will be happy to take care of the notarization, and that I charge an additional $50 for the trouble and the time. And then they make up their own mind. What I had not thought of before is that the REQUIREMENT of notarization demeans our profession. That is a very good point. Client-education is easy, but how does one educate the authorities?